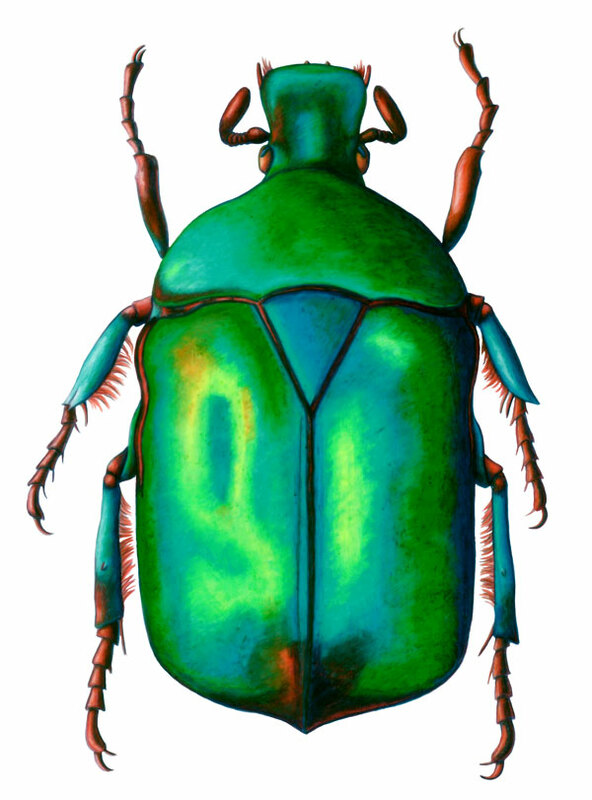 These brightly-colored garden beetles are found in southern and central Europe. Their iridescence is due to the reflection of left circularly polarized light. If you look at them through a right circular polarizing filter, they appear colorless.